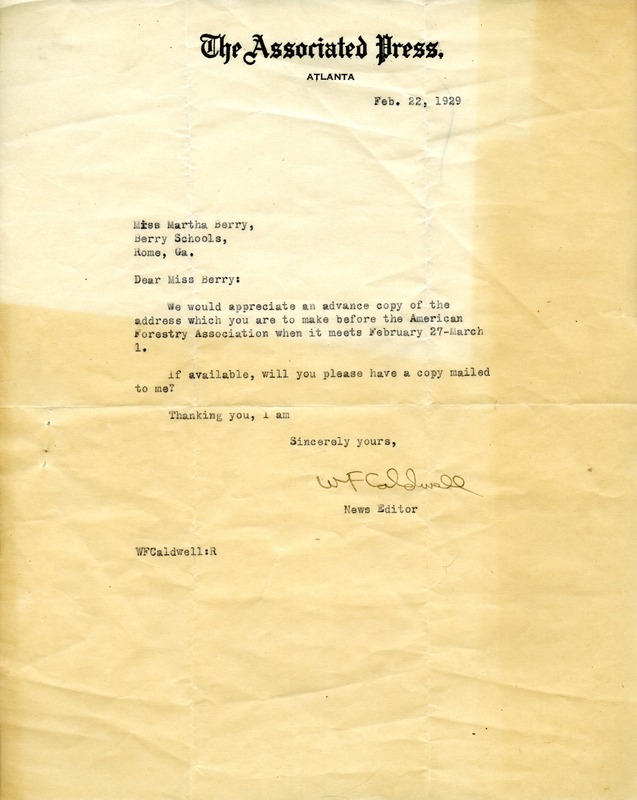 Letter to Martha Berry from W. F. Caldwell asking her is she could send an advance copy of the address she is making to the American Forestry Association at their next meeting. W. F. Caldwell, “Letter to Martha Berry from W. F. Caldwell.” Martha Berry Digital Archive. Eds. Schlitz, Stephanie A., Olivia Mund, Haley Fortune , et al. Mount Berry: Berry College, 2012. accessed April 20, 2019, https://mbda.berry.edu/items/show/9445.